Sales of midsized SUVs and crossovers stay hot, improving their growth rate from 11% in the first half to +13% after three quarters. Of the top-7 players, only one loses volume on last year, and that’s just a shy 1%. The Nissan Qashqai has been the traditional leader of the segment, consistently selling over 200.000 units a year for the past 5 years and 2015 is going to make its 6 in a row, with more than likely a new volume record for the model and in fact for any midsized SUV nameplate. Thanks to the new generation, the Qashqai grows faster than the rest of the segment at +15% to almost 180.000 units in 9 months. And note that this is without the extended Qashqai+2 version, which has been replaced by the X-Trail. The latter is the fastest growing model of the segment and has moved into the #11 position so far this year. The midsized SUV segment in Europe sees its impressive growth rate of +15% in Q1 slow down slightly to a still enviable +11% in the first half of 2015, especially considering the segment continues to outpace the overall market, which is up 8%. The traditional leader of the segment Nissan Qashqai manages to do even better than the segment as a whole, with sales up 13% to almost 125.000 units. This means the Qashqai has a chance hit the quarter million sales marker for the entire year if it keeps up this sales pace. Add to that the 586% increase to over 20.000 sales in 6 months for its larger sibling Nissan X-Trail, and also the successful introduction of the Renault Kadjar on the same platform, and we could be looking at potential sales of 350.000 Renault-Nissan SUVs from a common architecture this year. And as Kriss will surely show you in an article about US sales, Nissan is also on a roll across the Atlantic, where the X-Trail (called Rogue there) is breaking sales records every month, with factories in the US and Japan running at full capacity and still unable to fulfill demand. They’re now producing the Rogue in a third plant in Busan, South Korea, which is operated by Renault-Samsung Motors. After breaking through the 1 million annual sales barrier last year, the midsized SUV segment in Europe remains very dynamic, as I predicted. 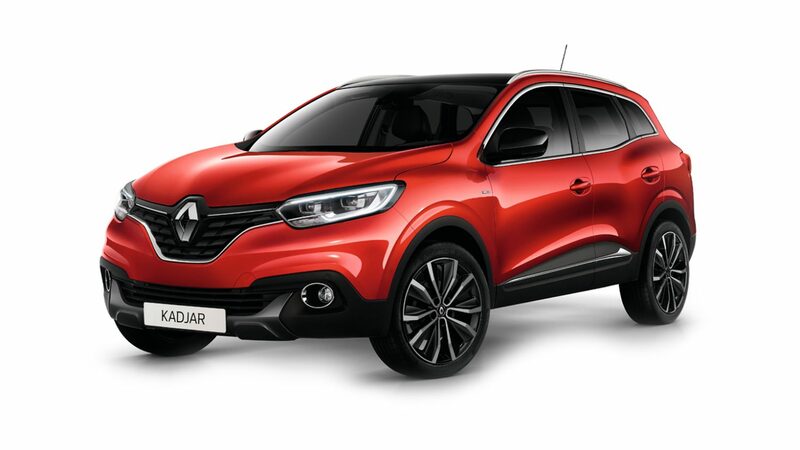 Sales are up another 15% in the first quarter, and that’s before a highly anticipated newcomer enters the segment in the second quarter: the Renault Kadjar is expected to enter the segment top-3 when it hits full steam in the market. For now, the model on which that newcomer is based, the Nissan Qashqai, defends its kingdom as strong as ever thanks to the new generation, and despite losing the 7-seater “+2” version. With sales up 21%, the Qashqai now holds a 20,5% share of the segment, which means one in every five midsized crossovers comes from the Sunderland factory in the UK. For the first time ever, more than 1 million midsized crossovers have been sold in Europe in a single year, only 7 years after first breaking the 500.000 sales threshold. And I don’t expect the growth to stall in 2015, as key models have recently been renewed and one highly anticipated new player will enter the segment. In 2014, the 12 best selling models all managed to improve their sales figures on the year before.